© 2009 pete. All rights reserved. Creating clarity around the message attached to your identity may be the answer. reviewing their in-house designer’s work on the new site. 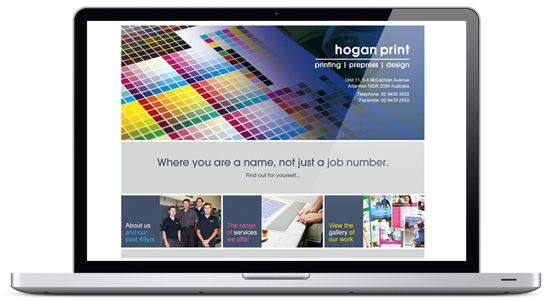 The result is a cost-effective rejuvenation of Hogan Print’s key marketing tool (see the images of the new site below, or visit www.hoganprint.com.au for more). By: peteFiled under Message. Tagged message, web page. Bookmark the permalink.